The Ford School community is saddened that our colleague, John DiNardo, passed away on August 26, 2017. 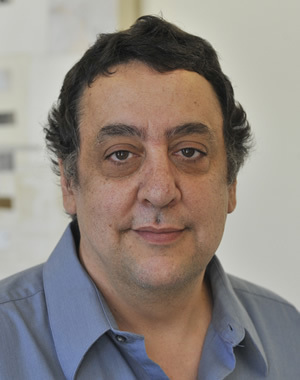 John DiNardo is Professor of Economics and Public Policy. His research focuses on applied econometrics, labor economics, health economics, political science and econometrics. Most recently his work has focused on assessing the importance of unions using financial market data, immigrant and native-born wage distributions, and the impact of immigrant inflows on the native-born. His publications include four chapters in J. Johnston and John DiNardo, Econometric Methods, Fourth Edition (1996), a chapter on unions and the non-wage aspects of work in Freeman and Mishel, Emerging Labor Market Institutions (2001), a chapter on immigrants and the children of immigrants in Borjas, Issues in the Economics of Immigration (2000), and a critical review of the estimates of the costs of alcohol and drug use in Research Advances in Alcohol and Drug Problems, vol. 11 (1994). Prior to joining the Ford School faculty, Professor DiNardo was on the faculty at the University of California, Irvine. Who really pays for the cost savings behind workplace wellness programs?